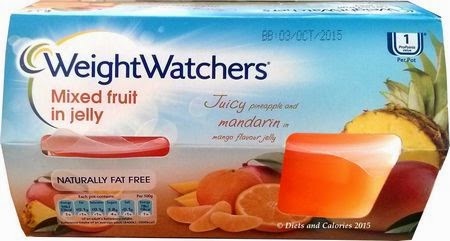 Weight Watchers have brought out two new jelly pots with fruit. There’s Juicy Berry which contains pear pieces in a berry flavour jelly and the other is Juicy Mandarin containing pineapple and mandarin pieces in a mango flavour jelly. Both varieties are exceptionally low in calories. 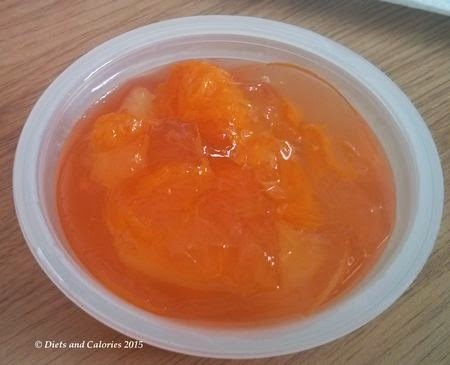 The Juicy Berry flavour jelly contains 20 calories and the Juicy Mandarin jelly and fruit pot has 23 calories. Both are worth 1 ProPoint. Although I’m not that crazy about jelly, I do buy the sugar free ones from time to time. 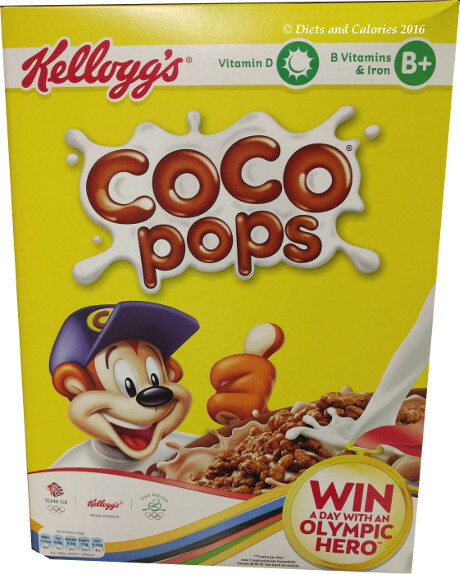 They’re great for the 5:2 diet, as pots typically have around 10 calories – see Hartley’s. There are other brands of fruit in jelly available, but I avoid those as they have added sugar and around 100 calories a pot. 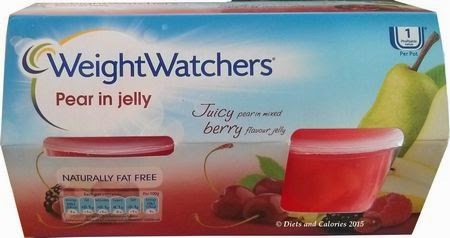 After tasting Weight Watchers fruit in jelly pots, I'm amazed. These didn't really taste like jelly at all. The consistency of the jelly less jelly like and more mushy. This is likely because of the fruit. But that's absolutely fine by me as I've never really liked the wobbly texture of jelly. What I was amazed by was the taste and amount of fruit. 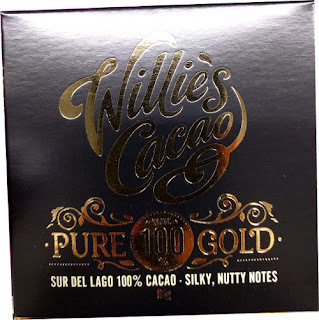 They were really nice, crammed with lots of fruity pieces and not overly sweet either. With all the chewing involved, they take longer to eat than a regular jelly. And after finishing I felt like I'd had quite a satisfying little snack. Perfect if you don't want something too heavy after lunch but need a little sweetness to finish off. Because these jelly pots don't have to be kept in the fridge, they're handy to take out with you, to work or wherever. Just remember to take a spoon! 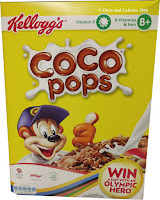 My children also liked these, even my youngest who would never eat a mandarin or pear on it's own. Found in a branch of Waitrose. Suitable for vegetarians. (There is no gelatin in these jelly pots. 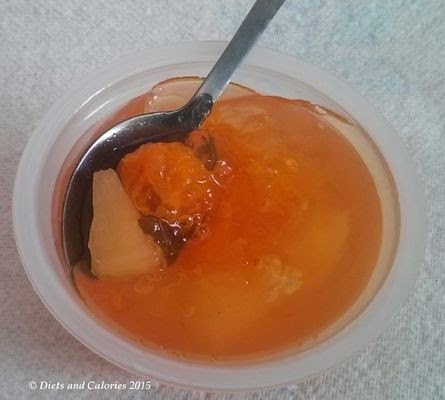 Looking at the ingredients, it seems the jelly consistency is due to a combination of various thickeners, also sodium carboxymethylcellulose - read what that is here)! Nutrition Information per 120g pot (Juicy Pear): 20 calories, less than 0.1g protein, less than 0.1g fat, less than 0.1g saturates, 4.6g carbohydrate, 4.1g sugars, 0.8g fibre, less than 0.1g salt. Nutrition Information per 120g pot (Juicy pineapple & mandarin): 23 calories, less than 0.1g protein, less than 0.1g fat, less than 0.1g saturates, 5.5g carbohydrate, 3.8g sugars, less than 0.5g fibre, less than 0.1g salt.